White Horse has been on my rotation with other Puget Sound courses for the past 10 years. Although the course was modified to be less difficult - it is still a very challenging course. I love it for this reason. 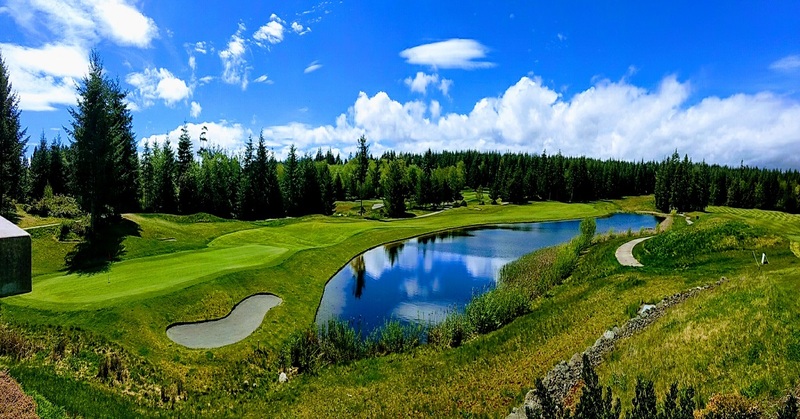 I often play Golf Mountain - which is beautiful, but doesn't require much thought in shot selection and strategy...just pull out your driver from the tee and take a rip. The greens at White Horse are in pretty good shape - its not a private club by any means, but they are solid. There are minimal homes along the course and the feeling of being deep in the woods is pretty special. Probably my favorite part is that the course is very rarely crowded. There is nothing I hate more than playing a round of golf where half the time is spent waiting on the tee box. It's worth the quick trip from Seattle/Edmonds for these reason alone! Posted by JohnDaily>ALL on 04/02/2019 - This review has been viewed 67 times.